Being on numerous illustration sites and social media platforms the time had come to finally do a profile illustration. 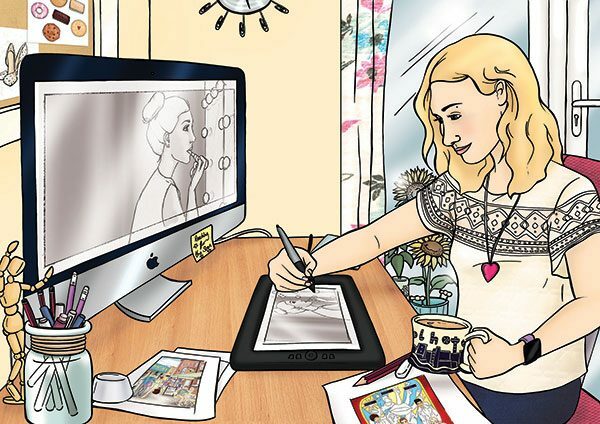 So here it is, me doodling away on my trusty Wacom with tea in hand. True to life!